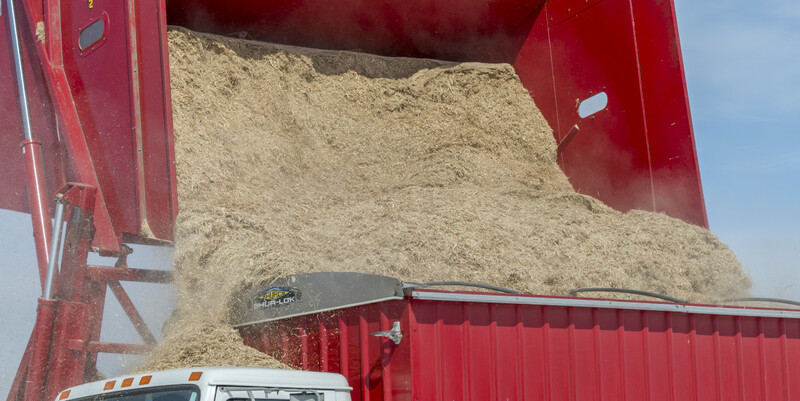 A central Illinois farmer dumps miscanthus cuttings into a trailer on March 6, 2015. Miscanthus is used as an advanced biofuel. The federal renewable fuel policy has had a big impact on carbon emissions, according to an industry report. In its report released on Aug. 24, the Biotechnology Industry Organization estimated that the policy has reduced more than 580 million metric tons of carbon emissions over 10 years. That’s equivalent to taking more than 124 million cars off the road. It also displaced nearly 1.9 billion barrels of foreign oil by replacing petroleum fuels with renewable fuels, according to the report. The BP gas station on Philo Road in Urbana, Ill., on March 5, 2015. Yet, the report says the U.S. Environmental Protection Agency’s proposed Renewable Fuel Standard mandates for 2014 through 2016 will stunt the growth and success of renewable fuels. “If finalized, EPA’s plan would forego achievable increases in biofuel production and use, automatically increasing the use of petroleum fuels and raising associated carbon emissions,” it said. The Midwest Center for Investigative Reporting took a look at the topic in its recent series “Fields of Fuel.” In the series, policy advocates and industry leaders echoed similar concerns about the future of renewable fuels. 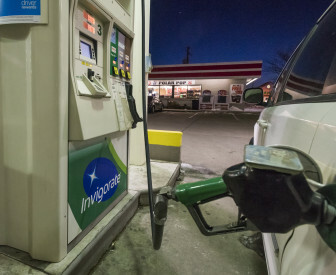 “Higher blends of ethanol bring in a lot of politics because the oil industry is extremely powerful, and from a consumer perception standpoint, they do not want to lose market share,” Doug Berven, vice president of corporate affairs for the biofuel company POET, said in the series. The Renewable Fuel Standard has sparked political attention lately in the presidential campaign. On Aug. 27 at a community college in Iowa, democratic presidential candidate Hilary Clinton pledged to back the Renewable Fuel Standard. She said the country needs to “expand the overall contribution that renewable fuels make to our national fuel supply,” the Associated Press reported. On the other hand, the GOP is divided on the renewable fuel issue, The Washington Times reported. Republican presidential candidate Mike Huckabee said it would not be in the government’s best interest to pull the rug out from under a program it has invested so much in already. Republican candidate Ted Cruz has been a vocal opponent of renewable fuel mandates. “Ethanol producers in Iowa have demonstrated that there is a real demand for the product and that demand will exist without the federal government getting in the middle,” Cruz said in an interview in March, The Des Moines Register reported. See related: "Corn ethanol production to stay strong despite federal cuts"
See related: "Advanced biofuels face uncertain future"
See related: "BP cuts funding for ‘most promising’ biofuel"
See related: "Three things you may not know about ethanol"